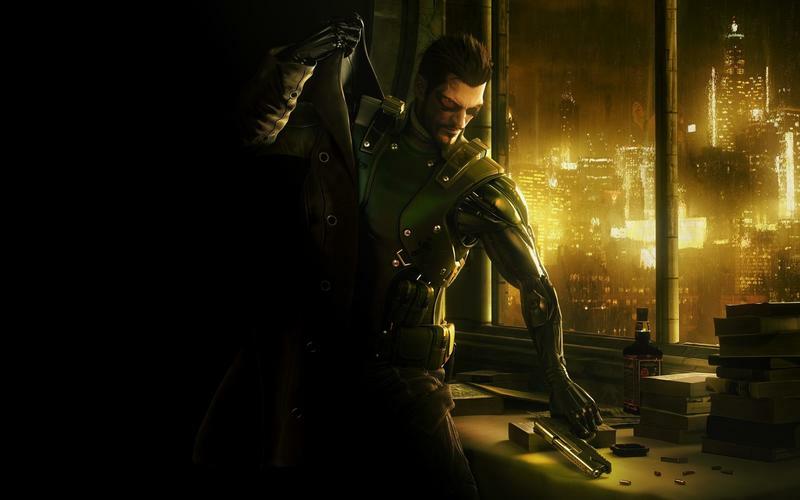 Square Enix had a runaway hit with 2011’s cyberpunk RPG, Deus Ex: Human Revolution. Many long time fans praised the game as an adequate revival of a long lost cult hit, and sales proved decent enough to ensure the series has a future with mass market appeal. Square Enix obviously enjoyed the success of their experimentation with Western RPGs and are possibly gearing up for another go around with the franchise. The Japanese video game giant has trademarked the name Deus Ex: Human Defiance, hinting at a possible follow-up. They have been tight lipped on the future of the series, which they acquired with their buyout of Eidos Interactive in 2009. Flashy science fiction atmosphere, blazing guns, human modification, open-world and free choice. The game was a huge leap from the linear anime inspired JRPGs the company was once known for during their heyday. Personally, I walked away feeling slightly satisfied, like I had just enjoyed a can of Diet Fallout 3 LITE, but it didn’t take long to find its way onto the back of my video game shelf. Sequels, ports to other consoles who don’t have the game yet, expansive DLC, or a name for the upcoming movie are all possibilities for this new trademark. Square Enix has yet to acknowledge the mysterious Deus Ex: Human Defiance, so expect an announcement in the near future now that the word is out.